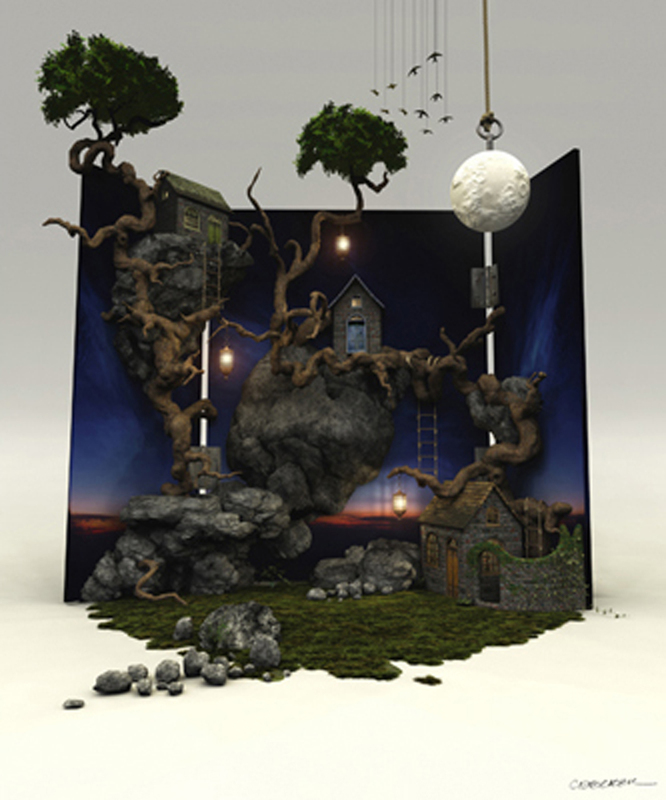 This image represents the essence of 3d modeling and rendering as artistic media. Creating environments on a digital stage, everything can be manipulated and repositioned. It’s real and unreal, physical and ethereal. It exists and it doesn’t.